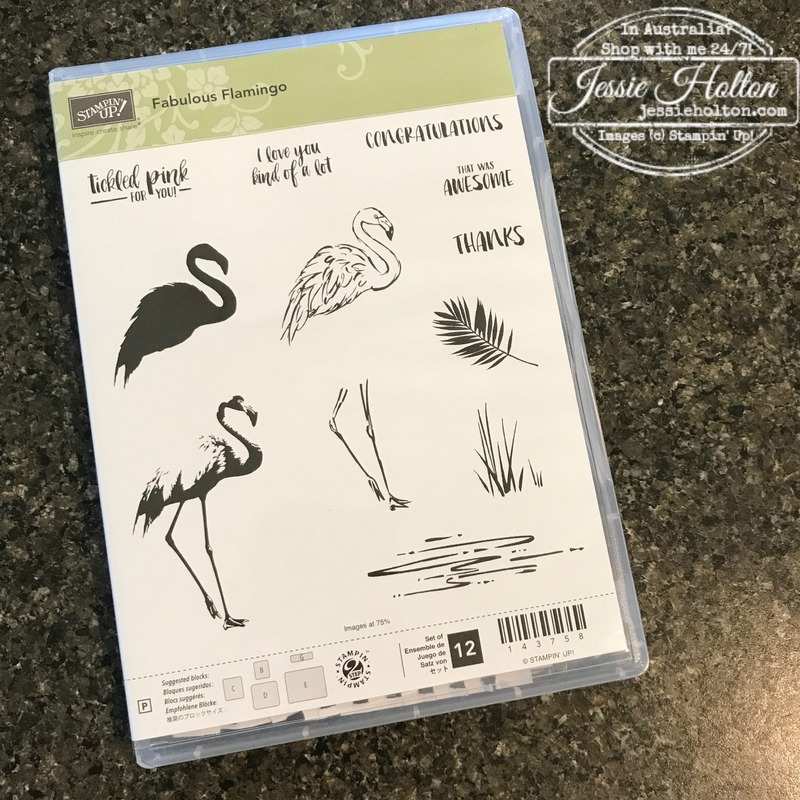 On 23 April, I invited my team over to play with all the new goodies I got in my PPP. Today, I have chosen to show you the Fabulous Flamingo stamp set with two of the new InColours - Powder Pink & Berry Burst. This is one of the eight cards we made on the day. 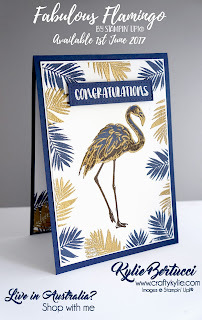 This is a three step stamp with some really lovely sentiments, in a really cool font! New products are available from 1 June to customers or you can join my team & get them in May! 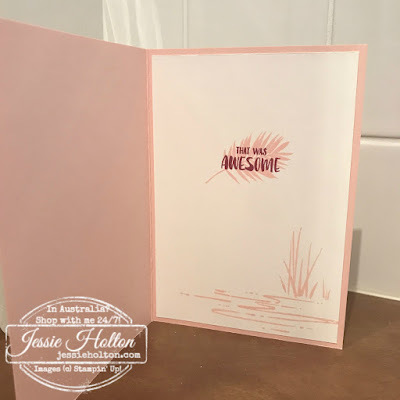 I've added some Copper heat embossing & Copper thread to the mix, because you know I just LOVE my copper! And don't copper & pink always look fantastic together! I've used the Duet Banner Punch for the sentiment & layered a piece of the Color Therapy Designer Series Paper behind. I've used a scrap of it for the sentiment, too. The Duet Banner Punch is also available in the Thoughtful Banners Bundle with a 10% discount, but only until 31 May. I have stamped the inside to match. Here's the Color Theory DSP. You get 6 designs in each of the 4 colours - Crushed Curry, Dapper Denim, Berry Burst & Old Olive. Plus there are Glitter Enamel Dots that also fade out to match! Amazing!! 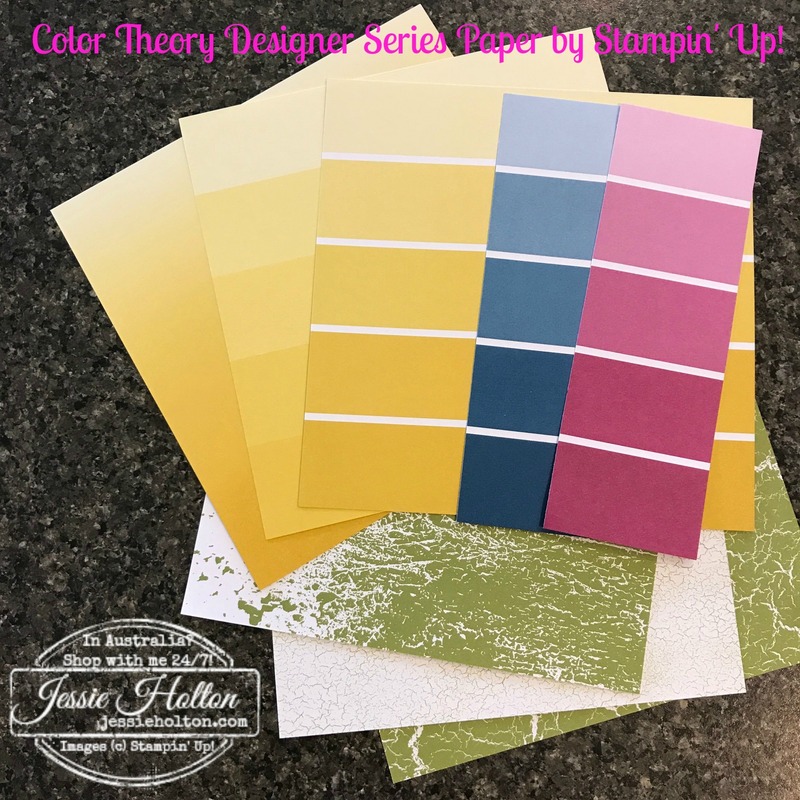 While we're at it, here are the new Fresh Florals DSP Stack - 40 sheets of 12x12" in the five new InColors - Tranquil Tide, Lemon Lime Twist, Powder Pink, Berry Burst & Fresh Fig. I made all my team members a little swatch of the new InColors & posted them to the girls who couldn't make it on the day. 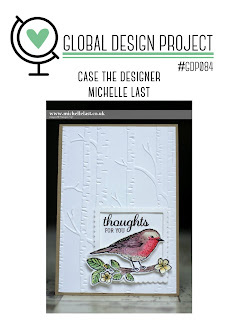 I've entered my card into the Global Design Project CASE challenge - using pink & birds as my inspiration. 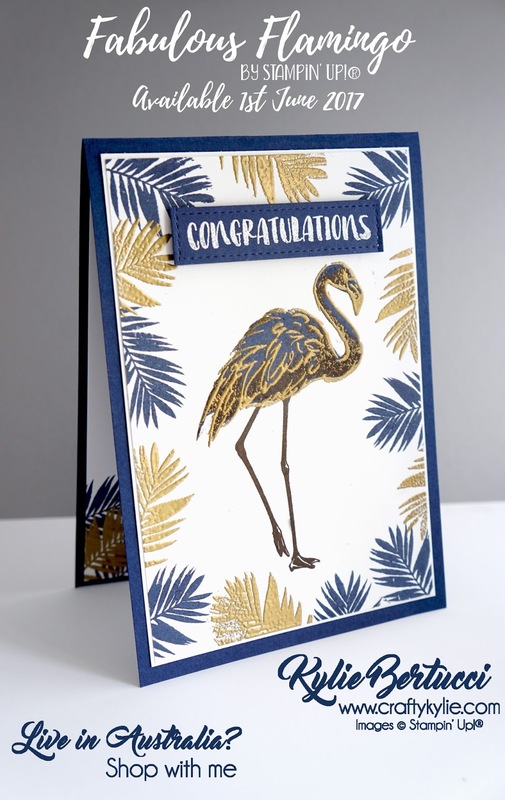 I also cased a card by Kylie Bertucci which was very similar but in gold & navy from last week's GDP. 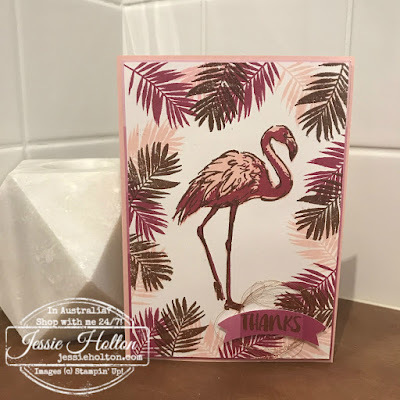 The Best Birds bundle that Michelle Last has used on her card above, is really sweet. Get it before 31 May while it's still in the bundle & save yourself 10%! Although lots of the current products are carrying across to the new catalog, the bundle prices won't, so if there's a bundle you've got your eye on, get it now!